This year’s Six Nations Championship, which begins tonight with France versus Wales, is employing Amazon Web Services to help offer in-depth insight into match stats and data. The event has selected AWS analytics, machine learning, and deep learning services to provide the technology behind the live broadcast of on-screen match data and statistics. AWS has now become an official technology provider of the Six Nations. 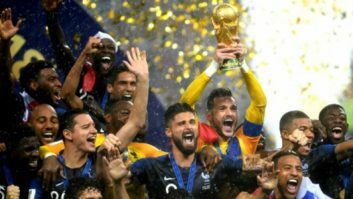 During this year’s Championship, seven new kinds of statistics will be launched that are described as being significantly more dynamic than those featured in previous broadcasts. New statistics will look at scrum analysis, play patterns, try origins, team trends, ruck analysis, tackle analysis, and field position analysis. AWS technology is able to predict the success of a scrum through analysis of pack weights, player experience, and historical data, as well as give a complete analysis of the ruck. These new statistics will be generated by gathering live data from the game, streaming them into AWS to store and produce analytics, and then delivering insights back to the live broadcast.